Snowmass Snow Legend is one of the finest studs in the nation, with a cashmere-like fleece of 14.4 micron count in 2004 and still, over 40 offspring, at the age of 8, his micron count is 21.6!! Son of one of the most unique Full Accoyo sires in the US; his father Snowmass Incaaccoyo Star (I-Star) is sired by the one and only, Peruvian Snowmaster (more on side). I-Star passed on his great conformation to Legend; including bite, straight legs, & straight top line: as well as his FANTASTIC fiber with a tight and uniform crimp, lock structure, density, coverage, soft handle & bundling and luster. Even more exciting than that, is that Legend is a male full of attitude, presence and great conformation. Just looking at him makes you go WOW. He represents the greatness of his sire & grandsire, with an additional brightness, luster and highly expressive crimp making an unbelievable fleece on this true Champion. Snowmaster & I-Star passed all this onto Legend, plus a great disposition! Finding a top of the shelf white alpaca with the fiber characteristics combined with a strong conformation is important for any alpaca program...and as Snowmaster is no longer available; & there are very few of these treasured Snowmaster offspring still existing, here is a great chance to obtain these great and rare genetics through his grandson Snow Legend, by breeding your prized alpacas to him! Don't overlook this Peruvian Snowmaster grandson! His name says it all...He truly is a legend of Snowmaster’s incredibly exceptional genetics, that needs to be carried on. He truly has it all: an Elite Full Accoyo lineage from Snowmaster (which is one of the most desired in the industry), fabulous confirmation & remarkable fleece! 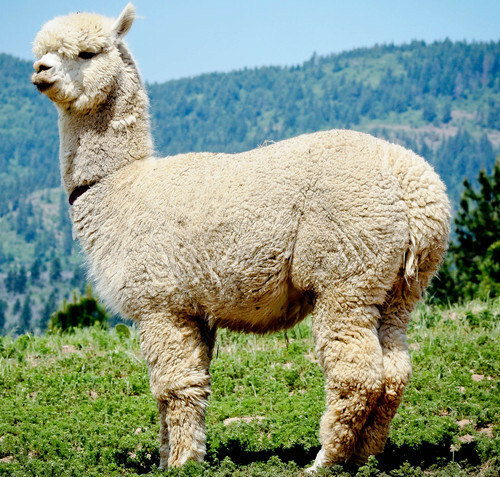 Thank you to Evergreen Valley Alpacas, Enterprise Ranch, Grazing Hills Alpacas, Stirling Ridge Alpacas for choosing Snow Legend for breedings! Genny is a second generational Chilean and Bolivian female, and her fleece has a fine handle. She has excellent conformation, is a natural mother, and produces fantastic milk. 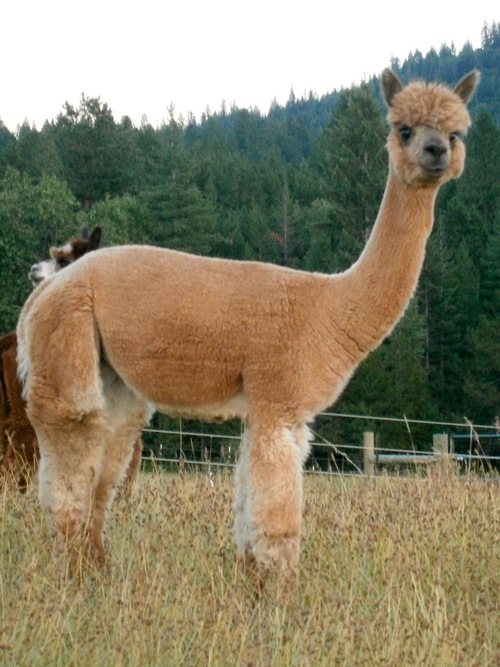 Genny has often partnered with famous Studs (including Bernard, Hemingway, K-2, Paul Revere, Snowmass Reminiscence, & Snowmass Snow Legend), for what have produced colored cria with magnificent fleece qualities, breathtaking conformation, & lineage to be passed down thru the ages. Viola has the best of two worlds. 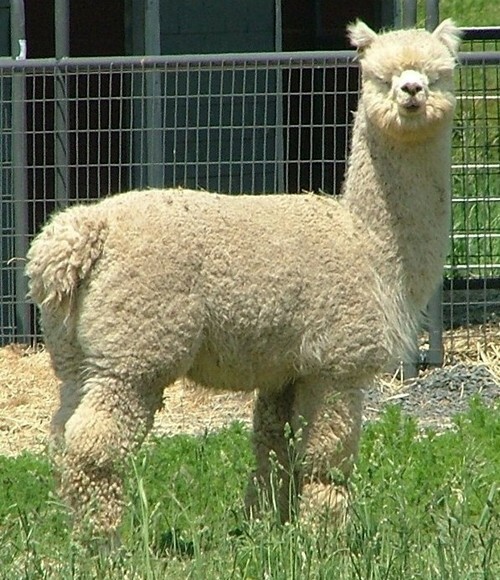 He has a regal and ever-watchful bearing, a large frame, with good, straight conformation, a model temperament, spectacular fleece characteristics, & a Champion lineage to match. 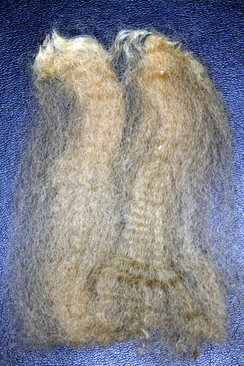 His dense fleece is soft, fine and crimpy, with a well-defined lock structure. 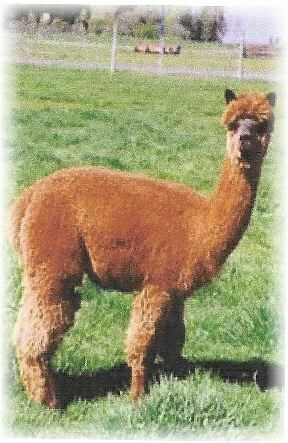 At the age of 20 months, Viola was ready to start his breeding career, and so, we are expecting his first crop of crias in Spring 2012!! Lady Genevieve is marvelously dense, and comes from unique lines: a gorgeous result of pairing National Champion SNOWMASS SNOW LEGEND with VIAC GENNY, who has Champion lineage of her own, including the absolute Canadian Champion ACERO MARKA'S ROCKAMUNDO, who at 18 months had a 13.6 MC & 14.5 lbs of pure fiber!!!. Not only did Genevieve inherit the denseness from her dam's side, she also has fineness, and beautiful brown fleece with significant black color genetics, all of which is sure to help her produce gorgeous colored females. We re-obtained Genevieve, after selling her dam while she was inutero, thus, she is getting a late breeding start, however, that hasn't seemed to deter her any! We decided to breed her to Silver Spoon Viola, who has incredibly dense fleece & a World-Class Lineage, including Peruvian Casanova, Peruvian Bueno, Aussie Rockford, Fantasy's Gremlin, and Peruvian Felix, for what is sure to be a fantastic cria! NOTE: The cut-rate prices of our girls are NOT a reflection of their quality. We simply need to make room for the new cria coming on this year! Our loss is your gain!! A unique two-in-one package, that can't be beat! !